The abelian -commutative- group defined on elliptic curves [Le groupe abélien -commutatif- défini sur les courbes elliptiques]. I (the identity of the group) is the point at infinity (a vertical line on the picture). 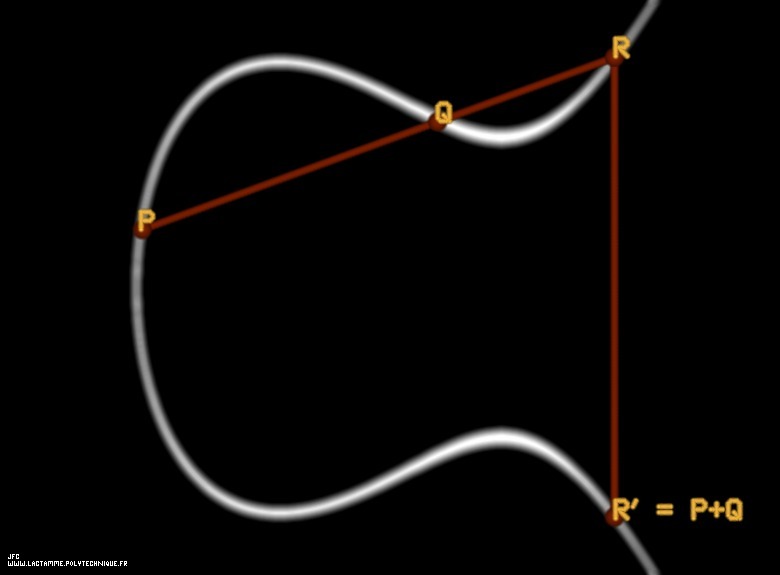 The inverse of a point P(x,y) is -P(x,-y). On the picture R' means -R.